From the past of Fellini to Antonioni, and today’s Garrone or Sorrentino, the Film Making has always been taken very seriously in Italy. Perhaps that’s because of the great legacy of the Venice Film festival – the oldest in the world, dating back to 1932, when it was conceived by Venetian Count Giuseppe Volpi as a way for the world put aside political differences and come together in a presentation of pure art. The Mostra de Cinema di Venezia will be held this year from August 29 to September 8th, making it the 75th edition of the Venice Film Festival. Most screenings and events occur across the lagoon on Lido, in the purpose built Palazzo di Cinema, themselves great feats of architecture. 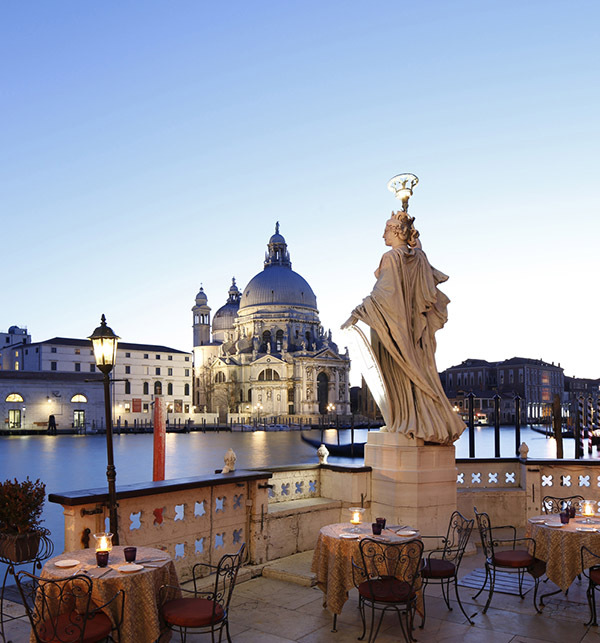 But after the red-carpet screenings, most participants make their way back to Venice proper, and if we do say so ourselves The Bauer Hotel is the centre of these cinematic nights in Venice. Our terrace is a favourite of jury members and featured actors are often at the Hotel; arrive at the right time and you will see them taking the breeze on the Terrace. And in the evenings, our B Bar will have special djs and events during the whole Mostra, and with its ideal location tucked just inside the grand Art Deco lobby, will be is open late into the night. Within the smoky privacy of its cut-glass blackness, and perfect vodka martinis help the tightly packed insider crowd let loose and dance. With all this whirling around, how to get tickets to see the films? Venice is actually one of the most democratic festivals, offering advance tickets for sale online and at the box-offices in the cinema village for most of the screenings. Its all about enjoying the art of cinema, something we in Italy pride ourselves on.